Production still from Thanhouser Japanese Company production, ca. 1912. 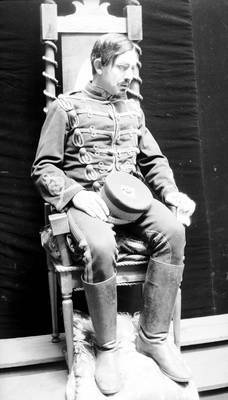 Actor in military uniform, sitting in ornate chair.